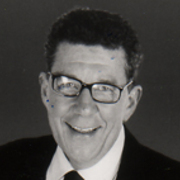 Paul Holmes, KCNZM, helped change the face of New Zealand broadcasting. In 1989 the actor turned radio host began presenting primetime news and magazine show Holmes in spectacular style, when guest Dennis Conner walked out of his interview. Holmes balanced the TV show and a popular radio slot for 15 years, followed by a stint with Prime TV and current affairs show Q+A. He passed away on 1 February 2013.